The Honda brand is significant in all of this because it helps sponsor the giveaway, even going so far as to chip in a brand new 2017 Honda Pilot Elite SUV as part of the grand prize. 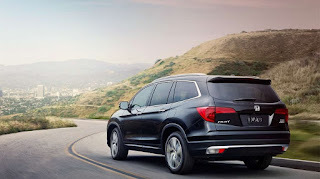 "Creating big dreams for our customers is at the core of the Honda brand and combining our Honda Pilot, the ultimate modern family SUV with the ultimate dream home from HGTV, makes for an impactful partnership and one incredible prize package for one lucky family," said Susie Rossick, Assistant Vice-President of Honda Auto Marketing. The winner of the competition gets the Honda Pilot as well as the home, which is a redesigned “hidden gem” on St. Simons Island in Georgia this year. They also get $250,000 in cash, which is an added bonus that makes this particular grand prize one that just about anybody would absolutely love to win. Of course, San Diego, CA Honda customers can be winners, too, as we have several Honda Pilot models available for sale here at Pacific Honda right now. Stop by for a test drive any time and one of our sales associates will be happy to get you all set up so you can see what sort of dream car this dream home winner is going to take home. There’s nothing stopping you from taking one home, too!